Bill O'Reilly is going on the offensive to defend himself after the latest bombshell about sexual harassment allegations against him. But his former Fox News colleague Megyn Kelly isn't having it. Kelly, speaking during her new one-hour block on the "Today" show, addressed a story published by the New York Times over the weekend which revealed that O'Reilly had paid $32 million to a former Fox News analyst who accused him of sexual harassment. "O'Reilly calls the Times report a malicious smear, claiming that no women in 20 years ever complained to human resources or legal about him," Kelly said. "Maybe that is true. Fox News was not exactly a friendly environment for harassment victims who wanted to report, in my experience. However, O'Reilly's suggestion that no one ever complained about his behavior is false. I know because I complained." Mark Fabiani, a representative for O'Reilly, responded to CNN by sending a pair of thank you notes that Kelly had sent O'Reilly. In one, Kelly expressed gratitude to O'Reilly for attending her baby shower. 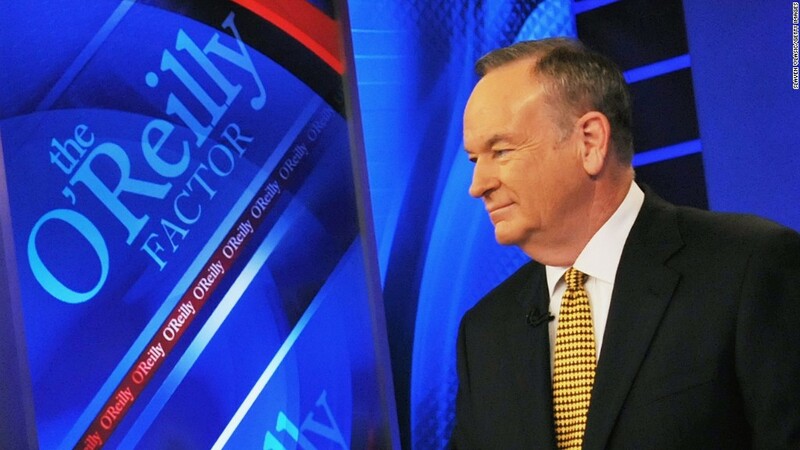 The other was sent to thank O'Reilly for plugging a book written by Kelly's husband, Douglas Brunt. Later on Monday morning, during an appearance on Glenn Beck's radio program, O'Reilly asked Beck to read the notes to the audience. On her own program on Monday, Kelly interviewed former Fox anchor Juliet Huddy, who reached a settlement with the network's parent company 21st Century Fox after she alleged that O'Reilly had sexually harassed her. Kelly and Huddy each called out Fox News' longtime media relations specialist, Irena Briganti. Briganti, Kelly said, is "known for her vindictiveness." According to Kelly, she and Briganti "got along for years," until Kelly refused to publicly back Fox News founder Roger Ailes over sexual misconduct allegations. Huddy's attorney Douglas Wigdor, appearing on "Today" alongside his client, said that Briganti has a history of going after women who target Fox with such allegations. "That's part of their playbook," Wigdor said. Briganti referred CNN to a spokesman for Fox News' parent company, 21st Century Fox. In a statement, the spokesman said, "Irena is a valued colleague and she has our full support." Kelly, who bolted Fox News for NBC earlier this year, then described an email she sent to Fox executives last year -- which was previously reported on by the Times -- after an appearance O'Reilly made on "CBS This Morning" in November of 2016. During the appearance, O'Reilly was asked about Kelly's book, in which she detailed her own sexual harassment allegations against Ailes. "I am not interested in basically litigating something that is finished that makes my network look bad," O'Reilly said. On Monday, Kelly said that prompted her to reach out to Bill Shine and Jack Abernethy, who were then co-presidents of Fox News. Kelly recalled writing, "Perhaps he didn't realize the kind of message his criticism sends to young women across this country about how men continue to view the issue of speaking out about sexual harassment. Perhaps he didn't realize that his exact attitude of shaming women into shutting the hell up about harassment on grounds that 'it will disgrace the company' is in part how Fox News got into the decade-long Ailes mess to begin with. Perhaps it's his own history of harassment of women which has, as you both know, resulted in payouts to more than one woman, including recently, that blinded him to the folly of saying anything other than 'I am just so sorry for the women of this company who never should have had to go through that.'" The latest revelation about O'Reilly's settlement marks a continuation of more than a year of bad headlines about the culture of Fox News. It began last summer, when former Fox News anchor Gretchen Carlson sued Ailes for sexual harassment. The lawsuit prompted other women to come forward with their own allegations against Ailes, who was ousted within weeks of Carlson's action. Earlier this year, O'Reilly was sacked after the Times revealed several previously undisclosed settlements that he, Fox News and 21st Century Fox had, together or separately, made with women who had accused him of sexual harassment or other inappropriate behavior. The $32 million settlement revealed by the Times over the weekend was finalized in January, shortly before O'Reilly re-signed with Fox. It was paid to Lis Wiehl, a former legal analyst for Fox News. 21st Century Fox has said that it was aware of the settlement, though not of the amount. The company reiterated in a statement following the Times' story that it has taken "concerted action to transform Fox News including installing new leaders, overhauling management and on-air talent, expanding training, and increasing the channels through which employees can report harassment or discrimination." O'Reilly has repeatedly denied all the allegations against him, and has decried the claims and the media's reporting of them as a politically motivated smear campaign. On Monday, Kelly said that her former employer "has absolutely made some reforms since all of this went down." "This is not unique to Fox News," Kelly said. "Women everywhere are used to being dismissed, ignored or attacked when raising complaints about men in authority positions. They stay silent so often out of fear. Fear of ending their careers. Fear of lawyers, yes. And often fear of public shaming including through the media."